In 2017 in a jointly developed survey, HHF and HLAA asked about the presence and degree of hearing loss, methods of managing it, accessibility to treatments including barriers such as cost, and opinions about over-the-counter hearing devices. More than 2,300 people responded. Here are the key findings. Affordability and accessibility of hearing healthcare is an underlying trend in concerns. 40% report no coverage for hearing healthcare or hearing aids; it’s no surprise that cost is reported as the leading factor that prevents the public from purchasing hearing aids (leading the next top-rated barrier to purchase by 575%). They are between the ages of 55 and 74 years old. They are retired, and their annual income is approximately $50,000 to $99,000. They report experiencing age-related hearing loss. Those with hearing loss say they use hearing aids. Those with hearing loss say that they have had their hearing loss for more than 10 years. 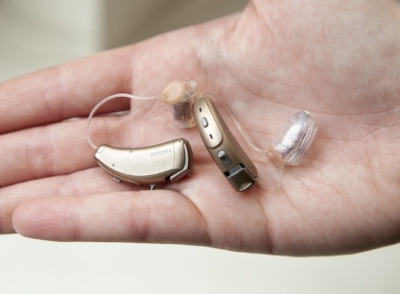 Respondents report overall satisfaction with their current hearing aids. 66% of respondents wear hearing aids. 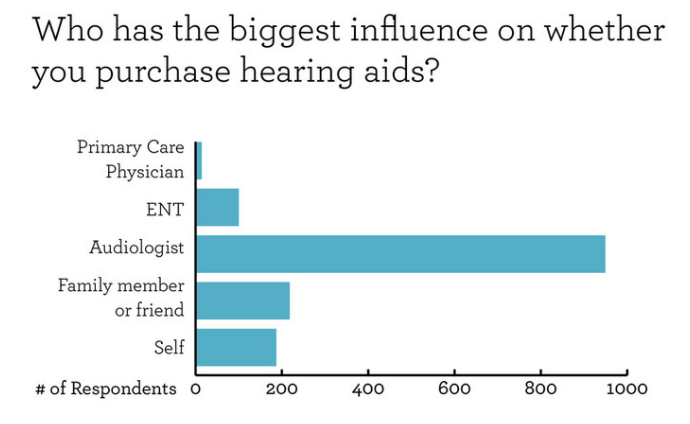 64% of respondents list their audiologist as the biggest influence on whether they purchased hearing aids. 87% of respondents state they would be more likely to purchase new hearing aids if there was full or partial insurance coverage for new devices every three years. The top three listed factors that patients consider when purchasing hearing aids include comfort, settings, and accessories; the fourth-most important factor patients consider is cost. Based on this, respondents seem to want devices that work well for their needs, but cost continues to be a struggle when choosing devices. Survey respondents support the government improving accessibility to hearing healthcare, through both support of expanded insurance coverage for audiological services and hearing aids as well as expanding publicly available devices to include over-the-counter (OTC) hearing aids. 80% believe the government should allow the sale of safe, regulated, OTC hearing aids. At least 40% receive no hearing aid or audiological coverage through health insurance. Only 13% report full coverage for hearing aids and audiology services. 27% of respondents who are veterans also say they have full coverage for audiological care. Treating for hearing loss is vital. Untreated hearing loss is linked to cardiovascular disease, dementia, depression, diabetes, falls, hypertension, isolation, loneliness, and even premature death. Explore treatments and their significance. A cure for sensorineural (permanent) hearing loss does not yet exist in humans—but hearing restoration is possible in birds, frogs, fish, and baby mice! Learn about HHF’s groundbreaking research toward better treatments and cures.